The Singapore Scout Association is celebrating 100 years of Scouting in Singapore, 1910 to 2010 and there were many major scouting events lined up for this year. 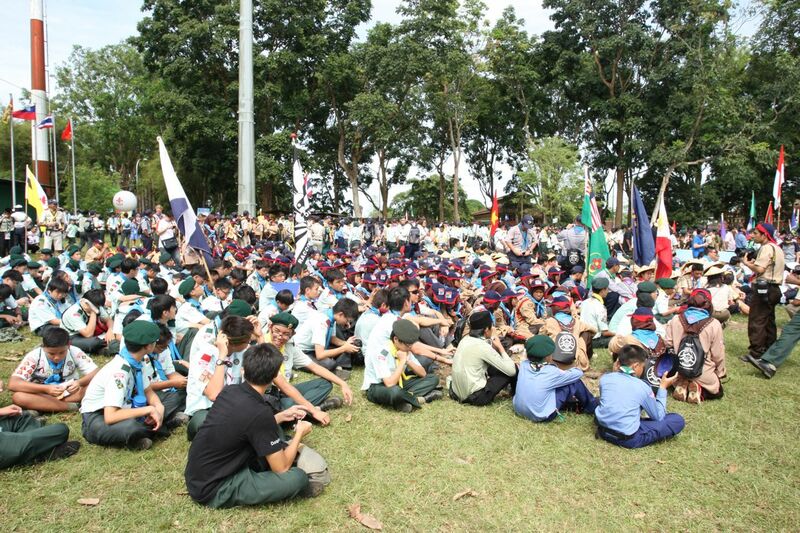 One of the major events was the Jamboree 100 and 3rd ASEAN Jamboree currently being held from 4th December to 9th December 2010 at Sarimbun Scout Camp. 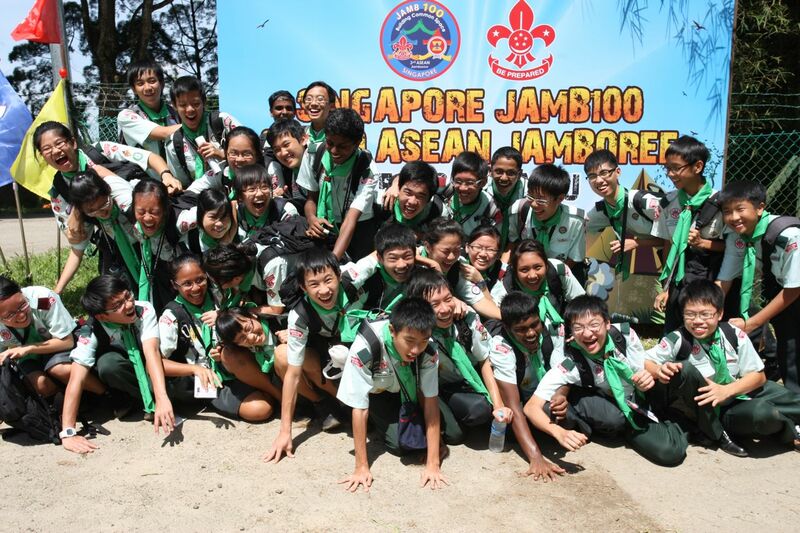 The Open House was held on Sunday 5th December 2010, whereby the Chief Scout of Singapore, His Excellency, President SR Nathan, officially declared Open the Jamboree 100 & 3rd ASEAN Jamboree. I was there to help out for a while with the Opening Ceremony with my Dragon scouting seniors from the Dragon Chapter and Ventures from the Dragon Scout Group, my alumni mata. 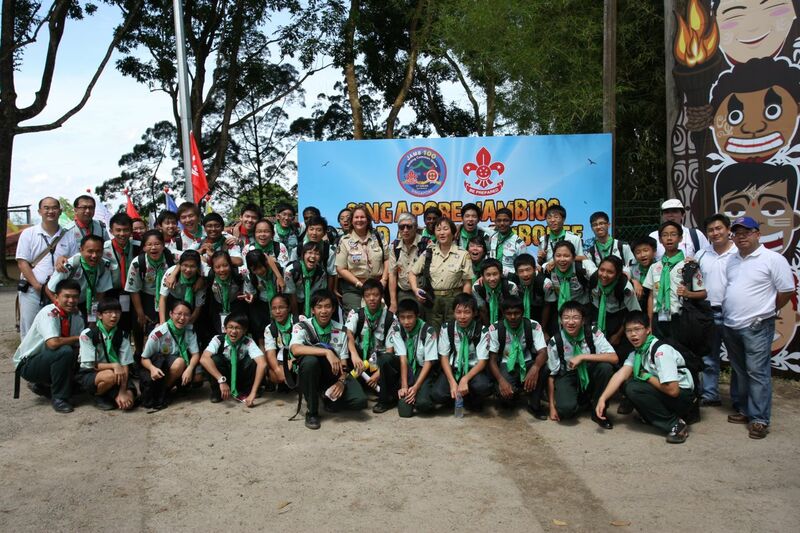 After the Opening Ceremony was over, we the bunch of old boys and ventures went around the Jamboree compounds, met with the boys and girls of Dragon Scout Group, chatted with our Hawaiian Scout Troop 42 leaders who were here in Singapore to visit the Jamboree 100 Open House. Looking at the numbers, from different countries and nationalities, it was a great and fun time for them. These brought back many memories of Scouting for me too and relieving the good old days when I was a young boy scout and enjoying the fun and outdoors without too much worries. Looking at the Dragon Scout Group, I am pretty sure they would be having a good time there too! Making new scouting friends from different parts of the world ! Do check out my other photos here on Flickr !